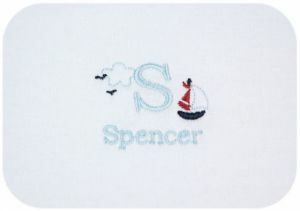 Each set is embroidered with baby's first initial and name (up to 10 characters). The gift basket comes beautifully wrapped in clear cellophane, topped with a coordinating ribbon. 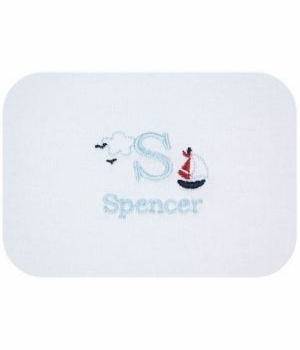 Each set is custom personalized to order and shipped directly from the designer.